started to discover self-expression through art at the age of 24. Over the years she gained insight into the potential of drawing, painting, aquarelle, oil, mixed media, acrylic, and more. Her evolution as an artist saw her plunge into patina, optical illusions and decorative art on wood, walls and glass. A hand injury marked a turning point in her artistic life. 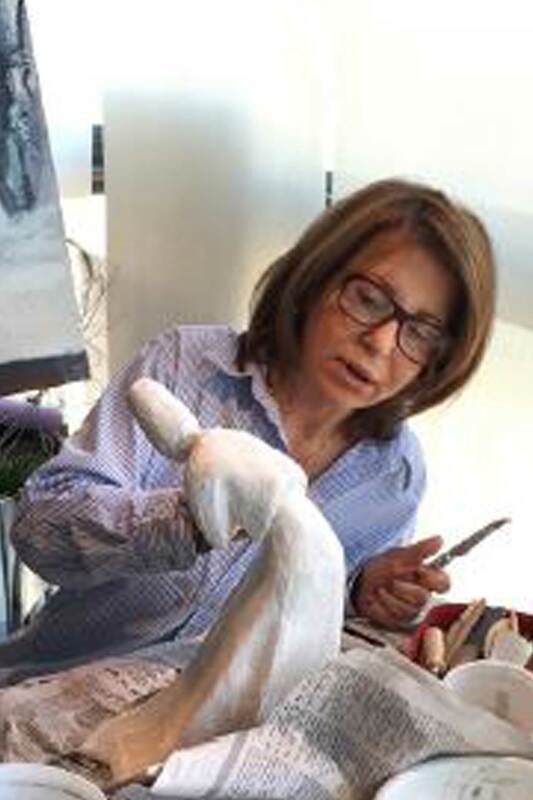 After a two years rehabilitation period, Samia returned to the art scene, focusing on her newfound passion: sculpture. She also felt it was time to bring to life a subject that has fascinated her since she was a child: the whirling dervishes of the Sufi faith. To Samia, they represent spirituality that crosses borders and bridges the gap between religions and cultures; they symbolize the eternal motion of mankind towards goodness and enlightenment.